Jerome "Jerry" Friedsam was born June 14, 1935 and died Thursday, June 14, 2018 at the age of 83. A graveside service will take place at 11:00 a.m. on Saturday, July 21 at St. Lawrence Catholic Cemetery, Perham, Minnesota. A lunch and fellowship will follow the service at St. Lawrence Catholic Church. Jerome “Jerry” Henry Friedsam passed away on his birthday, June 14, 2018. He always said he wanted to live to 83, and this he did. Jerry passed away peacefully with his wife of 53 years, Joanne, by his side. Jerry was born and grew up in Perham, Minnesota. In 1958 he joined the army and served his country while stationed in Germany. After his time in the army Jerry found work in Montana and moved there but he maintained his ties to family and friends in Perham. It was in Perham that Jerry met and married Joanne Mathison and in 1964 the two of them started their life together in Montana. Shortly after the move to Montana their daughter Teresa was born. Jerry’s working years were spent as a heavy equipment operator. Road construction in Montana meant the family had to move and live in many towns throughout the state. East Helena became the permanent home for the Friedsam family and they have lived there for many years. Once Jerry had a permanent residence he was able to create his dream garage, which had everything a handyman would want. His creative mind allowed him to build and fix just about anything, and he obviously loved doing this. Without question, Jerry was the go-to guy in the neighborhood for fixes to problems. WWII history, engine operation and John Deere tractors were other interests and the level of his knowledge in these areas was extensive. It will surprise no one that Jerry’s final journey will be in a John Deere tractor urn. It is fair to say that Jerry was one of a kind, a truly unique individual. Those who had the privilege to know him use words such as genuine, no nonsense, truthful and honorable to describe him. His word meant everything, and he would do anything for family and friends. Jerry was truly one of the most outgoing and friendly people most of us will ever meet. It seemed that everyone knew him. This is quite a compliment. Jerry is survived by Joanne Friedsam (wife) and Teresa Friedsam (daughter) Donald Olson (son-in-law) along with many in-laws. Preceeded in death by Edward and Emma Friedsam (parents) and Thomas and Robert Friedsam (brothers). 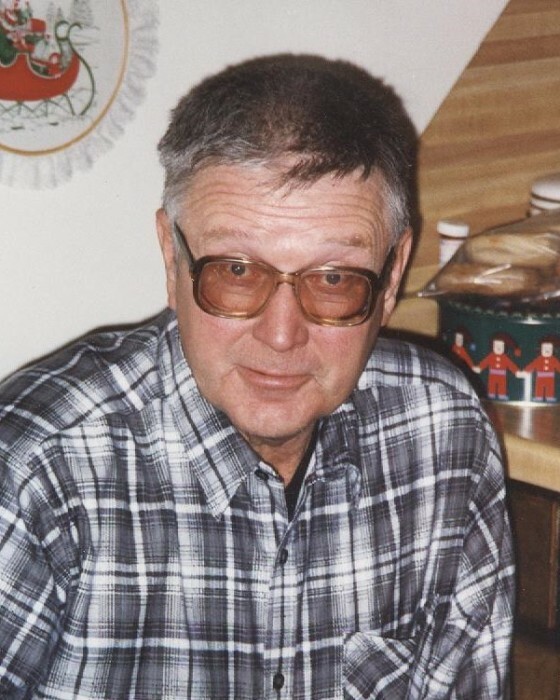 Jerry will return home to his Perham MN roots to be buried close to his parents and other family members in the cemetery of St. Lawrence Church.